Tioga’s newest street/dirt/trail pedal is also our most durable. 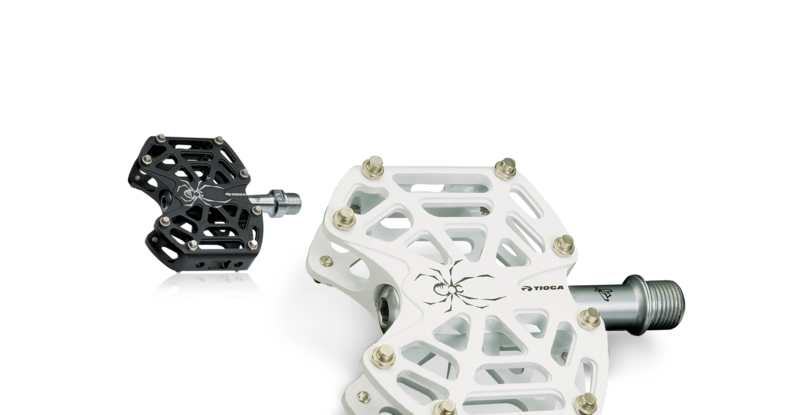 To keep the pedal profile as low as possible for maximum maneuverability, the D-Spyder incorporates an industry first TRPL3 bearing axle, three small diameter sealed bearings, to better disperse stress that’s typically concentrated in a small area. The end result is a very low profile body without sacrificing axle/bearing durability. The D-Spyder pedal’s dimension is smaller than Tioga’s MX-PRO pedal so make sure you check the measurements below.